The Decision on the Petition for Issuance of the Writ of Amparo in Favor of James Moy Balao has finally been issued after a miserably long wait since the Balao Family and the Cordillera Peoples Alliance filed it with Branch 63 of the Regional Trial Court in La Trinidad, Benguet in October 2008. It was granted amidst efforts of the Respondents to dismiss the petition. Thus, it is not a purge within the CPA, not an offshoot of clan disputes or a personal grudge against James as so stated by the Philippine National Police (PNP) and Armed Forces of the Philippines (AFP). The Decision is strongly-worded and boldly states that the State is responsible and accountable for James’ abduction. Thus, these merit the granting of the interim orders as far as inspection, production and witness protection. However, the Court denied the issuance of the said orders for failure of the Petitioners to comply with the stringent provisions on the Rule on the Writ of Amparo. The stringent provisions defeat the heart of the Writ of Amparo. This is especially since the petition clearly shows the urgency and necessity of the Writ, and the witnesses and evidence presented were not rebutted during the hearings. The National Union of People’s Lawyers, in a statement, described as a “bold decision” a Cordillera court’s decision finding “substantial evidence” to link President Gloria Macapagal-Arroyo and several of her men to the abduction and disappearance of activist James Balao. In a bold decision promulgated on January 19, 2009, the first on the writ of amparo in the Cordillera Region, the Regional Trial Court-Branch 63 in La Trinidad, Benguet found substantial evidence to link President Gloria Macapagal-Arroyo, Executive Secretary Eduardo Ermita, Defense Secretary Gilbert Teodoro, Interior Secretary Ronaldo Puno, National Security Adviser Norberto Gonzales, AFP Chief of Staff Gen. Alexander Yano, PNP Chief Jesus Versoza, Brig. Gen. Reynaldo Mapagu, P/Dir. Edgardo Doromal, Maj. Gen. Isagani Cachuela and Senior Supreintendent Eugene Martin, to the abduction and continued disappearance of activist James Balao. These government officials were the respondents in a petition for the issuance of the writ of amparo filed by the family and co-workers of James Balao in September 2008. Judge Benigno M. Galacgac penned the Decision in this case. Equally important, in an unprecedented move, the Court has recognized the need for President Gloria Macapagal-Arroyo to respond to a petition for the issuance of a writ of amparo. The Court brilliantly supported this tack on the President’s own duty to be informed of the goings-on around her and to enforce the rule of law. This ruling of the Court provides substance to the otherwise empty statement that “no one is above the law.” By this Decision the President can be held accountable for every case of human rights abuse, especially enforced disappearances, even simply on the level of ensuring the reappearance of the disappeared. Through its independence and commitment to the rule of law, the Court has pinned the responsibility for James Balao’s disappearance and reappearance upon President Arroyo and her cohorts. The tribunals are the palladium of the civil liberties of the people. They are the sanctuary where the fundamental human rights are safeguarded. Shall we fail in the crucial hours of actual test? Shall we disappoint the unfortunate victim? This is the last asylum where the victim can resort to. Shall we reject him with freezing indifference? Here comes for salvation a drowning man. Shall we throw him to his doom? From the deepest bottom of our souls surges a powerful No, as an overpowering answer. No. We cannot do that. We must protect the victim. It is our unavoidable duty. It is an imperative mandate of the conscience. 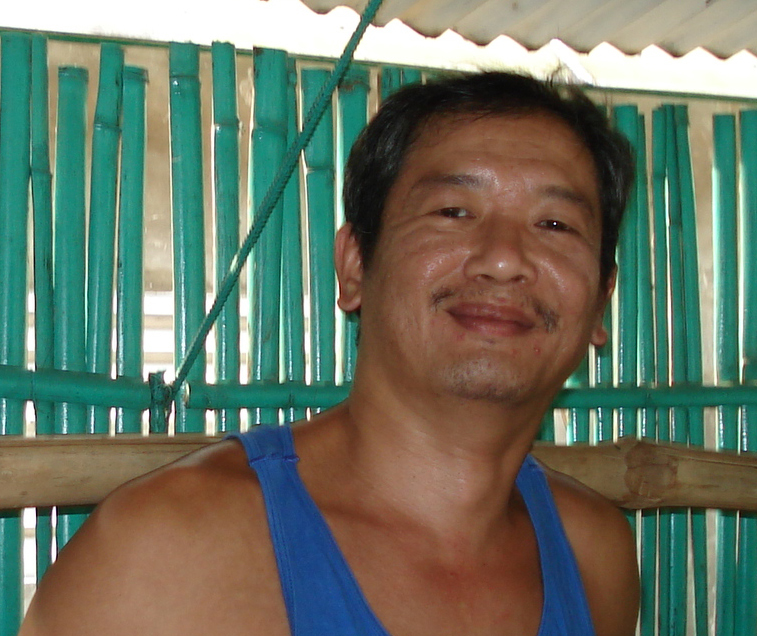 Our organizations are deeply concerned for the safety of our colleague James Balao, one of the founders of the internationally renowned Cordillera Peoples Alliance of the Philippines. James has not been seen since the early morning of September 17. 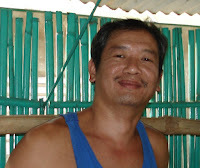 It’s feared that James was the target of an enforced disappearance by Philippines security forces. The Cordillera Peoples Alliance (CPA) has been an important voice for Indigenous peoples in the Philippines and in international fora such as the UN Permanent Forum on Indigenous Issues. James Balao helped found CPA in 1984. He also served as a member of the Philippines Constitutional Commission. He currently works as a researcher for CPA. James had reported being under regular surveillance for at least three months prior to his disappearance. This surveillance became more intense in the week before he disappeared. According to a reliable source, the Philippines army has James Balao on a secret list of people alleged to be senior members of the Communist Party of the Philippines. Each day that passes with no positive development, his life in the hands of his captors, is an unimaginable torture to all of us. Each day, the family and us wait and hope for new information yet at the same time dread that it is of his death. Thus, your continuing support becomes more urgent in saving the life of James. A growing number of political activists have been killed in the Philippines over the last decade. Since January 2001, there have been almost 200 reported cases of enforced disappearance. The government has done little to ensure that these cases are effectively investigated or that those responsible are brought to justice. A climate of persistent impunity encourages more harassment and violence against human rights defenders and other activists. Our organizations call on the government of Canada to use its considerable influence in the Philippines to speak out for the safety of James Balao and other victims of enforced disappearances and political killings. We urge you to call on authorities in the Philippines to locate James Balao and to carry out a prompt and thorough investigation into his disappearance. Canada should also encourage the Government of the Philippines to take steps to ensure that all cases of enforced disappearance are investigated promptly, impartially and effectively. The Canada-Philippines Solidarity for Human Rights (CP-SHR) and Migrante B.C. are deeply concerned with the disappearance of James Balao, one of the co-founders of the Cordillera Peoples’ Alliance (CPA). James Balao is a committed, dedicated worker and advocate for the rights and integrity of the Cordillera peoples, particularly their rights to their ancestral lands. It is unfortunate that authorities in the higher echelon of the government are uneasy with James Balao’s work through the CPA, more so that the indigenous peoples are increasingly aware of their rights over their ancestral lands. The government would rather sell off their lands to multinationals and big business corporations through mining and development projects. This is one reason why the government and the military are threatened by citizens like James Balao. For those who are in power, activists like James Balao are an irritant, an unwanted barrier to the government’s questionable decisions, particularly the government’s Mining Act which has sold out the nation’s patrimony and violated the nation’s sovereignty. The Macapagal-Arroyo government, true to its subservient role with the U.S.-Bush government, calls its critics “terrorists” and “communists” and wages war against them. The Canada-Philippines Solidarity for Human Rights (CP-SHR) and Migrante B.C. call on the government of Gloria Arroyo to stop the illegal and wanton arrests, forced disappearances and outright murders of leaders of the people who fight for justice and their human rights. We hold her accountable for the more than 900 extra-judicial killings and over one hundred forced disappearances. We demand that she look at improving the conditions of the majority of the Filipino people. It is neither the communists nor the terrorists who cause the government trouble. It is the other way around. If the Arroyo government is truly serving the people, respecting their human rights and conscious of dispensing the law with equal justice for all, then she would not need a brutal military force to implement Operation Bantay Laya, her counter-insurgency program. Kung may katarungan at kalayaan ang mga mamamayan, hindi na sila dapat bantayan pa.
We join the Filipino people’s call for the ouster of President Gloria Macapagal-Arroyo, a call that is loud, clear, reverberates overseas and intensifies even more as she continues to sow terror against the Filipino people. We demand that James Balao be surfaced now!